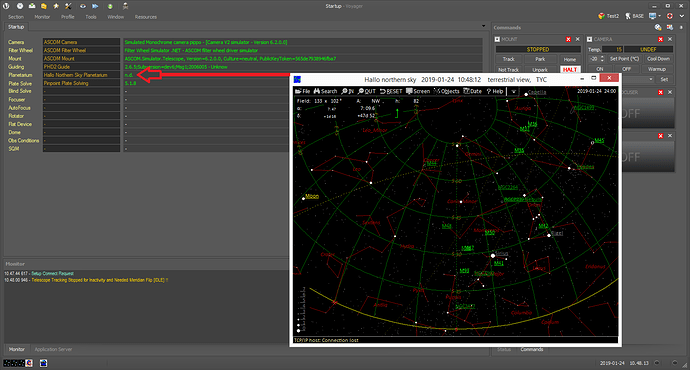 wondering if it would not be too much hassle to add Hallo Northern Sky Planetarium support. Works very like Cartes Du Ciel. Thank for the implementation. First I thought it was not possible to retrieve positions from HNSKY but it is implemented as “get selection”. So it all works well. No action required.